The media giant on Thursday announced its much-anticipated streaming platform Disney+, which will be rolled out on Nov. 12. Disney Chairman and CEO Bob Iger claimed its company’s brand name gives it an edge over rival streaming service Netflix, which he said is “still” building its brand. 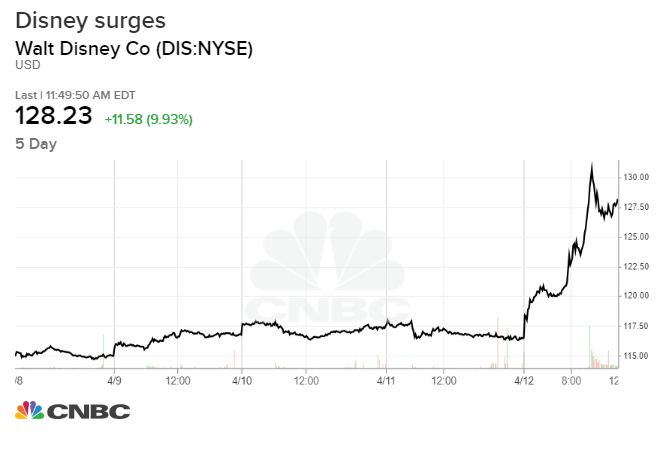 Disney’s stock surged as high as 12% on Friday, on pace for its best day since May 2009. Netflix shares fell Friday.